A collaboration between a local credit union, domestic violence prevention agencies, and a grantor, offers affordable loans designed to help survivors of domestic abuse get back on their financial feet. This interim brief reports on progress made over the past year, as well as new insights since the first report. In 2016 Filene published research by Adrienne Adams of Michigan State University that highlighted a unique collaboration between a local credit union, domestic violence prevention agencies, and a grantor, to offer affordable loans designed to help survivors of domestic violence get back on their financial feet. This new research provides an update on the performance of those loans along with an overview of program changes designed to make the program more financially sustainable for credit unions. According to the Allstate Foundation, one in four women will be the victim of domestic violence in her lifetime. 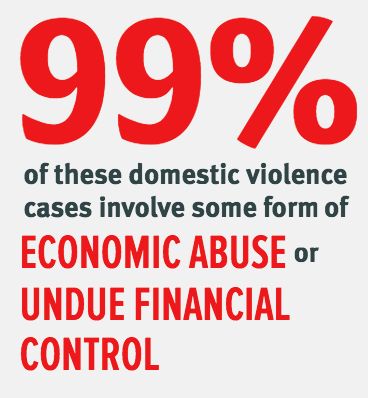 And quite alarmingly, 99% of these domestic violence cases involve some form of economic abuse or undue financial control.Even when the effects of physical violence have subsided, and after victims have leveraged their own strength and community resources to break free from an abusive relationship, the financial impacts can leave an inedible burden. For many victims, their abusers have taken out loans in their names leading to a tarnished credit score. For others, access to online financial information and other accounts has been withheld leaving survivors with no financial safety net. In 2018 we will share another update on the Domestic Violence Recovery Loan and the progress that Michigan State University FCU makes toward serving this population. Whether helping survivors of domestic violence, immigrants, the LGBT community, or minority populations, many credit unions continue to live the movement's legacy of serving Americans who others often overlook. Through this research along with the important product testing being done in Filene’s Financial Empowerment Incubator, we hope your credit union will gain new insights that can be put into practice to serve those who have traditionally lived in the margins of the formal financial services industry.